Get Out is a huge success and many believe that the accolades alone were behind Jordan Peele's decision to step out from in front of the camera and direct fulltime. As it turns out, The Emoji Movie was one of the bigger deciding factors for his reason to quit acting. Many fans of Key and Peele were upset to learn that Peele was going to retire as a thespian, but they still carry hopes that the director will change his mind at some point in the near future. Jordan Peele's decision to stop acting has been pretty big news in the entertainment industry, but the call makes sense since he was just nominated for an Academy Award and many other awards for his directorial debut Get Out. 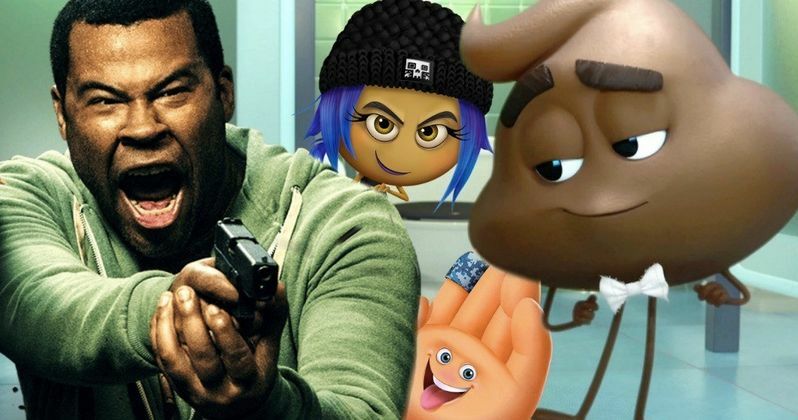 While accepting a Director's Guild Award for first-time directing, Peele revealed that the Emoji Movie was one of the major reasons for him quitting acting. Jordan Peele had this to say. "The Emoji Movie actually helped me quit acting. I was offered the role of Poop. This is true. I would not make this up." Sir Patrick Stewart ended up in the role of Poop in the Emoji Movie, which at the time of its release had an unprecedented 0% score on Rotten Tomatoes. Jordan Peele further went into detail about the offer. The director says that his manager came and told him that they wanted him to play Poop, mentioning that he right away said, "that's f%$#ed up." However, Peele slept on it and called his manager back to see how much money he was being offered to play the Poop, but it was already too late, as Patrick Stewart had no problem immediately saying yes to the crappy part. In all fairness, the Emoji Movie has gone up to a 6 percent on Rotten Tomatoes, meaning that a few people actually enjoyed the movie, which is pretty miraculous. The movie also led to T.J. Miller leaving HBO's Silicon Valley, a decision that seems to be working out pretty well for the comic. While Jordan Peele steps out of the limelight, we're all waiting to see what he tackles for his second movie. Get Out was an immediate success critically and the box office, sending Peele to the Academy Awards for his first ever movie. Horror movies are a passion of Peele's, so it will be interesting to see if he decides to make another horror movie or to see if he tries something completely new. Whatever he decides, the world will be waiting, unlike anything having to do with the Emoji Movie. You can read the rest of Jordan Peele's decision to quit acting after being offered the Poop role in the Emoji Movie over at Cinemablend.